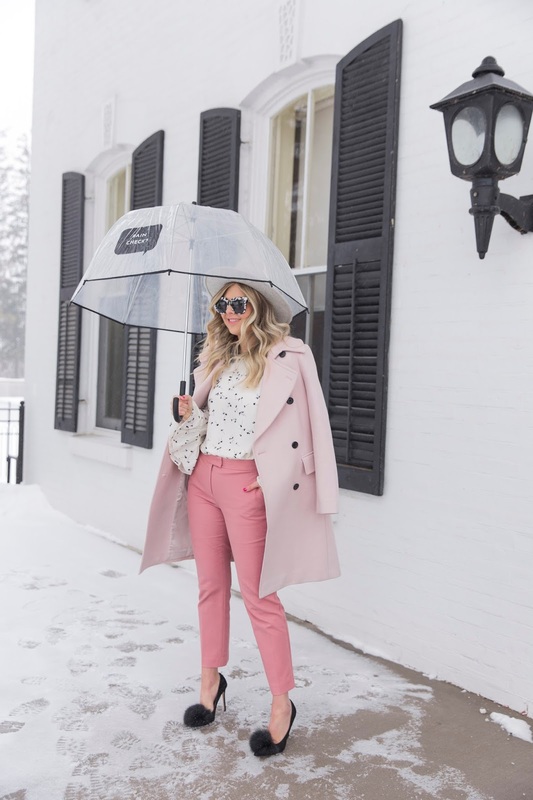 The trousers, blouse, heels and umbrella need to get into my closet. Love them. This must be the most chic and unique rainy day outfit ever! :) You are looking gorgeous top to bottom!